One pack of 10 Langstroth deep brood frames for Langstroth brood box. 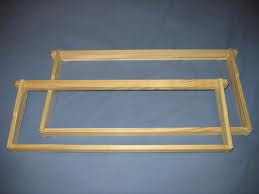 These frames are sent flat packed and need to be constructed. Nails or gimp pins are not included but you can buy some here. Top bar length 19" (including lugs), side bar length 9 1/8"